1. (personal noun) canoe that brought Turi and his people from Hawaiki, eventually arriving in Taranaki where they intermarried with the tangata whenua tribes. 1. alternating speakers between tangata whenua and manuhiri at a pōhiri as in the system used on marae in Te Arawa and Waikato. In most other tribal areas the system called pāeke is used where all the local speakers speak first. Ko te kawa o Tainui he tau whakautuutu, tū atu tū mai (TWK 46:8). / Tainui's protocol is for alternating speakers. 1. (noun) caller - the woman (or women) who has the role of making the ceremonial call to visitors onto a marae, or equivalent venue, at the start of a pōwhiri. The term is also used for the caller(s) from the visiting group who responds to the tangata whenua ceremonial call. Traditionally this role was based on one's status within the hapū or whānau, the eldest sister normally being given the role. Skilled kaikaranga are able to use eloquent language and metaphor and to encapsulate important information about the group and the purpose of the visit. 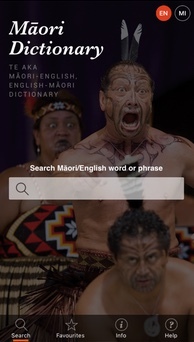 Ki tā Iranui, i ngā wā o mua i haere ngā wāhine me te kaikaranga o te manuhiri ki waenganui o te ope whakaeke ki runga i te marae, ā, ko ngā tāne kei ngā taha ki te tiaki i ngā wāhine. / According to Iranui, in former times the women and the caller of the visitors went in the middle of the group going onto the marae and the men were at the sides to protect the women. 1. (noun) alternating speakers between tangata whenua and mahuhiri at a pōhiri as in the system used on marae in Te Arawa and Waikato. In most other tribal areas the system called pāeke is used where all the local speakers speak first. Ko te kawa o Tainui he tau whakautuutu, tū atu tū mai (TWK 46:8). / The speaking procedure in the Tainui territory is to alternate speakers between the tangata whenua and the manuwhiri. 1. (noun) alternating speakers between tangata whenua and manuhiri at a pōhiri as in the system used on marae in Te Arawa and Waikato. In most other tribal areas the system called pāeke is used where all the local speakers speak first. Ko te tauutuutu te kawa i ngā marae o Te Arawa rāua ko Tainui, ā, mā te iwi kāinga e wāhi, e whakakapi ngā kōrero (PK 2008:901). / Alternating speakers is the speaking protocol of the Te Arawa and Tainui tribes, and the home people will open and close the speeches. 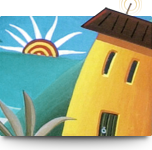 Pūmau tonu ia he tauutuutu tō rāua hononga ko Te Mete (TTR 1996:199). / He expected his relationship with Smith to be a reciprocal one. 1. (verb) (-hia,-tia) to call, call out, shout, summon. Ka karangahia e mātau te ingoa, ka whai haere mai i a mātau (HP 1991:20). / When we called its name it would follow us. 2. (noun) formal call, ceremonial call, welcome call, call - a ceremonial call of welcome to visitors onto a marae, or equivalent venue, at the start of a pōwhiri. The term is also used for the responses from the visiting group to the tangata whenua ceremonial call. Karanga follow a format which includes addressing and greeting each other and the people they are representing and paying tribute to the dead, especially those who have died recently. The purpose of the occasion is also addressed. Skilled kaikaranga are able to use eloquent language and metaphor and to encapsulate important information about the group and the purpose of the visit. Kātahi ka pā te karanga, “Haere mai! Haere mai!” (JPS 1929:17). / Then the call went out, "Welcome! Welcome!" 1. (verb) to barter, bargain, trade. Tauhokohoko ai ngā iwi noho ki tai i te ika, te mātaitai, te karengo, te karaka, te aha atu, mō ngā kai a ngā iwi ki uta, pērā i te huahua manu, te huahua kiore, te whatutūrei a Rua (te hua o te hīnau) me ngā hua o te wao tapu nui (Te Ara 2013). / Coastal iwi exchanged goods with inland iwi, including fish, shellfish, karengo (seaweed), karaka berries, and other produce. Inland tribes in turn had birds and preserved rats in calabashes, hīnau cakes and the produce of the forest. Hei pou i ngā mahi tauhokohoko ka haere a Porake ki Tangiterōria i te tau 1832 (TTR 1994:164). 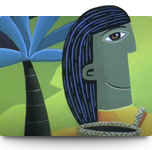 / Joel Polack went to Tangiteroria in 1832 seeking to establish trading enterprises. 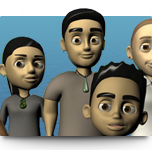 I whiwhi ia i te tohu paetahi mō te tauhokohoko i te whare wānanga o Utā (TTR 2000:153). / She gained a Bachelor degree in commerce from the University of Utah. 4. (noun) alternating speakers between tangata whenua and mahuhiri at a pōhiri as in the system used on marae in Te Arawa and Waikato. 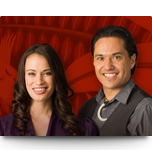 In most other tribal areas the system called pāeke is used where all the local speakers speak first. 1. (verb) (-hia,-ngia,-tia) to play together. 2. 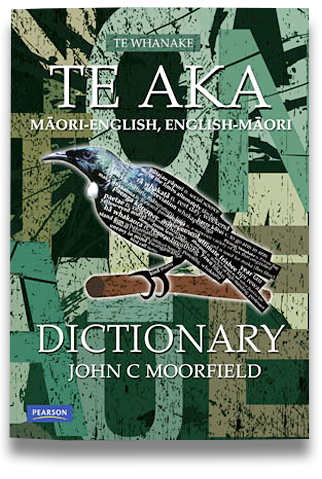 (noun) incantation to begin a speech - the actual tauparapara used are a way that tangata whenua are able to identify a visiting group, as each tribe has tauparapara peculiar to them. Tauparapara are a type of karakia. Ko wai hoki ka mōhio ki ngā whakamārama me te pūtakenga mai o ngā tauparapara katoa? (HM 4/1998:6). / Who can possibly know the explanations and the origin of all tauparapara? 3. (noun) five-finger, Pseudopanax arboreus - a tree with compound leaves with five to seven 'fingers' and thick, leathery leaves with large teeth. A small, many-branched, round-headed tree with thick, brittle, spreading branches. One of the most common native trees. 1. (verb) to answer (a number of questions). Ko te kāpara Ingarihi ki a au, 'Kaua koe hai whakautuutu pēnā mai i aku kōrero (HP 1991:196). / The English corporal said to me, "Don't you answer my statements like that." 2. (verb) (-a,-ngia) to alternate speakers between tangata whenua (hosts) and manuhiri (visitors) on the marae. 3. (modifier) to fill up gaps (in anything). 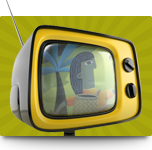 He kaihaukai whakautuutu i waenganui i Te Whānau-a-Apanui, i a Te Whakatōhea, ā kāore i ea i a Te Whakatōhea (M 2006:142). / Reciprocal feasts between Te Whānau-a-Apanui and Te Whakatōhea, but Te Whakatōhea were unable to reciprocate. 5. (noun) responses, answers, replies. Ko te tāhū o ngā kōrero pōhiri me ngā whakautuutu eke katoa atu ki runga i te pouaru a Timi (TTT 1/9/27:651). / The main theme of the welcome speeches and the responses all related to the widow of James [Carroll].